This question gets typed into search engines hundreds of times a day all over the UK. Help!! I’ve lost my car keys what do I do? If you have never lost your car keys you will most likely have no idea what you should do. In this article I offer advice for finding your car keys and explain what options are available for replacing them if they are gone for good. If you suspect your keys have been stolen you may find the following page on stolen car keys a worthwhile read. We have all been in the heart sinking situation where we think we have lost our car keys, resulting in an immediate ‘border control style’ self pat-down. But what happens if you feel no keys in your jean pockets? What happens if they are not in your coat pocket or even your bag? The realisation that you may have actually lost your car keys is a stomach wrenching moment that could quite possibly ruin the whole day. As obvious as it may sound the worst thing you can do is panic and frantically search every possible hiding place. 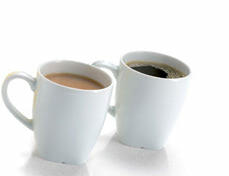 Instead put the kettle on and take five minutes to calm down and have a good think about where you had them last. This sounds easy to do but you will probably find you are short on time and dont have five minutes. I can assure you that running around turning the house upside down will take longer than five minutes and most of the time will not be fruitful. Im talking from experience here! My wife lost our Audi keys the other week just as we were about to go out to meet some friends. We both tuned the house upside down looking in every plausible location, like bags, coats and cupboards. Thirty minutes later…. still no car keys! I then remembered that when I arrived home an hour earlier my wife was getting something out of the car. This prompted her to remember she was bringing some shopping in from her earlier trip to the supermarket. She then remembered that she came in and put some washing on with the comfort she had purchased with her shopping. Sure enough there they were, the Audi keys sitting right on top of the washing machine in the washing room! If we had just sat down and thought about it and retraced our steps we would have probably found the keys in five minutes as opposed to the 40 minutes it took. What if you car keys fell out of your pocket? Forgetting where we have put our car keys is only a temporary problem and they will usually turn up when we remember where we put them or when we re-discover them. We don’t always lose our car keys as a result of bad memory. I speak to lots of customers that lose their car keys whilst out walking the dog or leave them on a train. These type of lost key situations are slightly harder to resolve. Once you have done everything you can to recover your keys it may be time to face the reality that they just aren’t coming back. Getting new car keys can be huge ordeal if you are not aware of all your options, so lets take a look at what options are available for getting replacement car keys. The main dealer – The cars original manufacturer can provide you with a new key. This option is usually the first one people think of when they lose their car key. Prices will vary for different manufacturers and even between franchises for the same manufacturer. For example a 2002 Ford Fiesta key might be just £90 at one dealer and as much as £160 at another franchise, so you would need to do some shopping around. Main dealers have access to keys numbers and security codes so they can cut and code your new car key without too much work. On the down side keys can not be ordered over the phone – you would need to visit you local dealer garage with the log book and proof of ID. The replacement car key is then ordered in from the dealers factory. When the key arrives it will be cut to fit your vehicles locks but will need to be programmed to make the car start. This means paying a recovery company to low-load your car and tow it to the dealers garage to be programmed. In busy periods some dealers are fully booked for over two weeks. Add the 7 days wait it can take for the key to arrive in the first place and you are looking at a potential three weeks total wait time. When you take the car into the their garage for programming you may be required to leave it there for a full day for the programming to be completed. Some car manufacturers charge extortionate prices for new keys. Toyota for example charge over £1000 for a new key. An auto locksmith – Car locksmiths can provide a replacement car key at a great cost saving over the main dealer. Many auto locksmiths produce keys that are exactly the same quality as the manufacturer. The only difference is that they offer a fully mobile service and would come out to your car to make the new key. 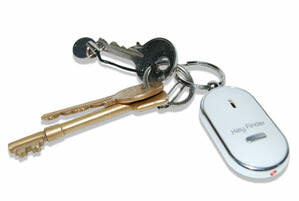 They can make a new key for your car whether it be on your drive, your work car park or even at the airport. This usually happens the same day you lose your key and within as little as 20 minutes on arrival for some car makes. The other main advantage is the potential cost saving. Auto locksmiths can offer you different variations of your car key and help make savings in most situations. Compared to the main dealer option an auto locksmith may have slightly more work to undertake to produce the key. Key numbers for cutting the key blade may not always be available and a lock may need to be removed to cut the key. There may also be quite a substantial amount of work involved to extract the security code to program the key to the car. A good auto locksmith will carry many different programming tools and diagnostic machines to make the job as quick and hassle free as possible. Self sourcing – In the last few years there has been an ever increasing amount of car key blanks available to purchase on the internet. With a bit of time and research you can probably find a key blank from ebay or a specialist replacement key website. It’s true that the keys and fobs on these sites will often be cheaper than purchasing a key directly from a dealer or an auto locksmith. Some places sell blank keys that will need cutting by a locksmith and other sites even sell ready cut keys. Many people are not aware that their car key will need programming and incorrectly assume that the key they buy online will start their car. There are many different types of transponder chips that go inside a car key and also many variations of remote locking fobs. So choosing the right key from an online shop is not always as easy as it sounds and will more often than not be more expensive overall by the time you have arranged for an auto locksmith to come out and complete the coding. I will discuss the downsides of ebay car keys in more detail in my next article. I have previously written some good advice on how protect your car if the keys have been stolen, so I dont want to repeat too much of the same advice here. If you have lost your keys it is always worth assuming they may have been stolen. 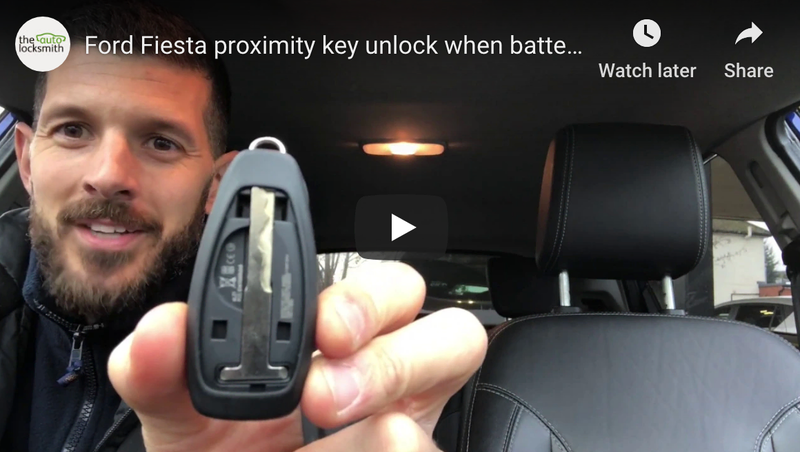 If you think its a possibility your car key could have been stolen from a coat pocket or bag then it’s worth while taking a few precautionary steps to prevent you car disappearing. Simple measures like blocking the car in with another vehicle or removing spark plugs only takes a few minutes but gives you peace of mind that your vehicle is safe. If you choose an auto locksmith to replace your vehicle keys let them know you are concerned about the cars future security and have them erase any keys that are not in your possession. OK so it’s obviously not always entirely possible to prevent a lost car key situation, but there are a few options to help recover your keys and make the replacement process as hassle free as possible. Some companies like Lostakey offer a key recovery service – a simple tag attached to your keys can help you get them back if they are found. See www.lostakey.co.uk for more details. Some insurance companies now include replacement car keys as part of their package, so look out for this when you renew your car insurance, it wont help you find your car key but it will soften the blow if you dont have to fork out for the replacement. I seem to remember a popular device in the early 90’s that everyone had attached to their car keys that sounded a melody if you clapped or whistled. This could well be a good way to find your keys if they are hiding on top of the washing machine like my wife’s Audi keys, but not sure how successful it will prove if your keys are left on the last train to Kings Cross. The next time you need to type “I’ve lost my car keys what do I do’, stop, have a cup of tea and if all else fails call an auto locksmith. Awesome post Mark, offers some fantastic advice for what people need to do if they lose their only car key.